EW.com has an interview with Last Shot author Daniel José Older, as does StarWars.com. East Coast Comicon is April 27 to 29 in Meadowlands, NJ. Star Wars guests include Howard Chaykin, Jan Duursema, and Timothy Zahn. Comic Con Revolution is May 19 to 20 in Ontario, CA. Star Wars guests include Jason Aaron, Howard Chaykin, Tom Hodges, Mike Mayhew, Cat Staggs, Greg Weisman, and Timothy Zahn. 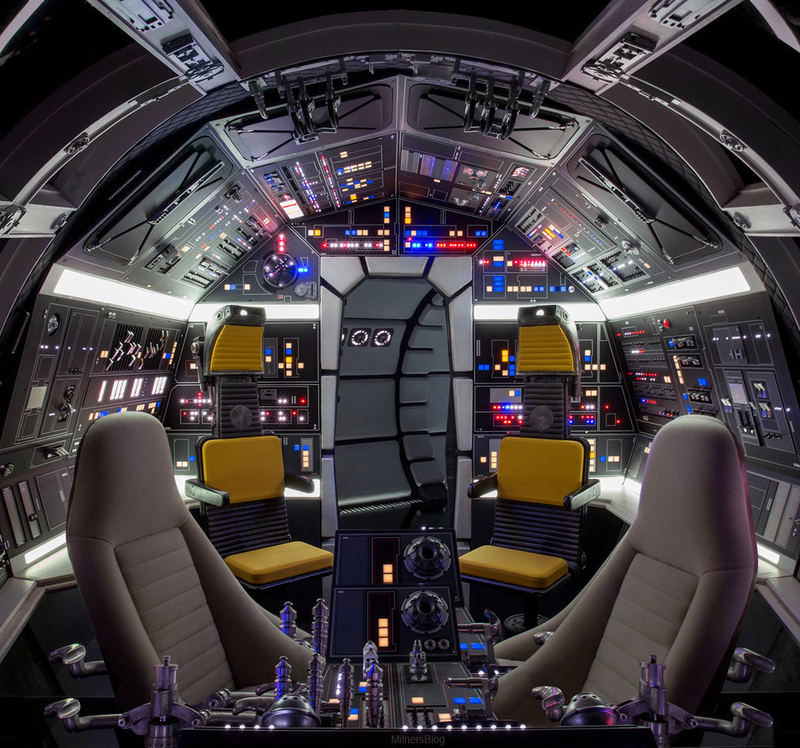 Want to see an image of the clean version of the Falcon‘s cockpit? Head on over to Jedi News to check it out. StarWars.com has an interview with Star Wars artist Dan Mumford on his AMC IMAX posters for The Last Jedi. The second unit director for Star Wars Episode IX has been revealed. Catt's outta the bag. Thank you @ava for putting my name in the #StarWars #LucasFilm hat. Thank you #JJAbrams for inviting me on your ferocious ride. *This one's for the outliers, dreaming big–in small corners of the Earth. As you get ready for Infinity War, you can enjoy a little video Marvel put together celebrating the last 10 years. This one may or may not be good. Hard to tell. But here’s the trailer for Hotel Artemis which will be out in June. Official trailer for Incredibles 2 which will be out in June. And here’s the final trailer for Jurassic World: Fallen Kingdom which will be out in June. Otter Box is offering Solo phone cases. The Gentle Giant 4-LOM Collectors Gallery Statue is up for pre-order. The Vintage Collection is starting to hit Target stores. Happy hunting. Pics are out for Tamashii Nations newly revealed Snow Trooper. Sneak preview of upcoming Hallmark Star Wars ornaments.